A rolling stone may gather no moss, but a rolled up mat is pretty hard to gather up into your luggage. That's why Natural Fitness created the unique Roam Folding Yoga Mat. A rolling stone may gather no moss, but a rolled up mat is pretty hard to gather up into your luggage. That&apos;s why Natural Fitness created the unique Roam Folding Yoga Mat. 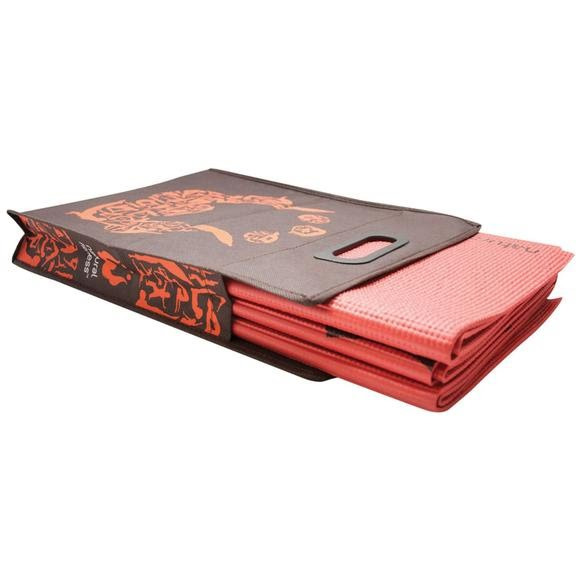 Though it still provides the length and support you need to flow through the wide range of poses, this mat is designed to easily fold flat into a convenient one-foot square that can lie flat in a suitcase or simply slide into a backpack.